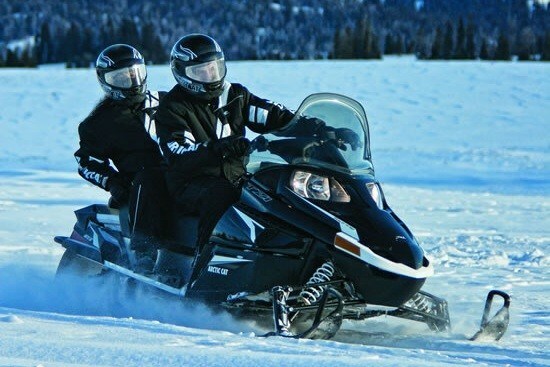 Canada is home to the world’s largest interconnected snowmobile trail networks. We have the ability to get you from your door to a restaurant, a hotel or scenic park, and even to all these places three towns over. Did I mention that you can even snowmobile from Province to Province? 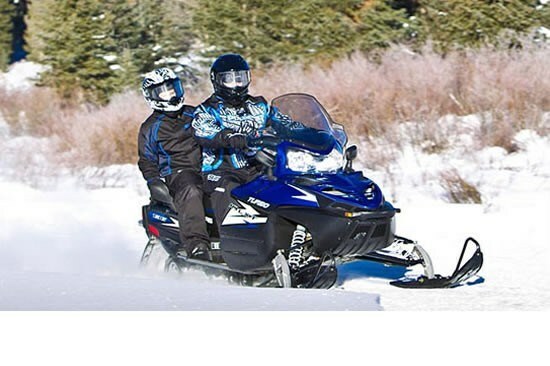 Arctic Cat's T-Series touring snowmobiles are marketed as the smoothest and most comfortable touring sleds on the market, Arctic Cat is no stranger to building touring machines as they have been in the business since the beginning. The T-Series offers three engines, including a Turbo Charged 1100cc 177 horsepower king. The T-Series offers seating for up to three, a vast range of comfort / long distance accessories and the patented ACT-Diamond Drive which allows for a lower track speed at clutch engagement which provides a more efficient transfer of power without sacrificing top end speed for those long lake pulls. 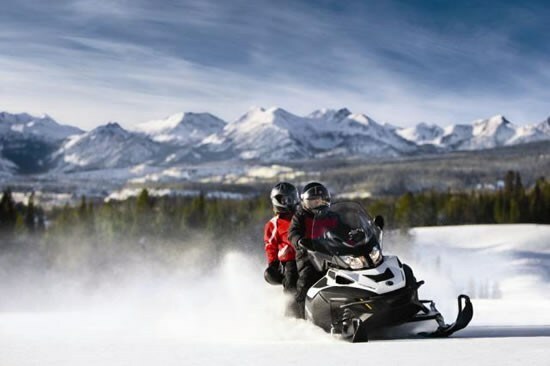 Ski-doo's Grand Touring model is just that, it delivers a ‘Grand Touring Experience’ no matter what the conditions may be. The Grand Touring has been around since the mid 1990’s and is extremely popular for those that travel 300+ kilometres in a day. Ski-Doo again offers its customers a wide range of engine options. The 550 fan, 600 carbureted and 600 ACE all serve well as touring machine mills while the E-TEC 600HO and 4-TEC 1200 offer advanced fuel efficiency, low emission performance and plenty of get up and go for when it’s needed. 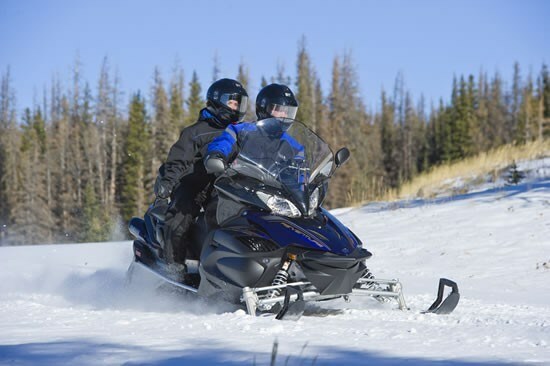 Items like 12v accessory plug, heated passenger grips and excellent wind protection all come standard on the Ski-Doo Grand Touring. Yamaha's Venture has a rich history of taking riders to their destinations in style and comfort. These models provide the ultimate trail touring experience. The Venture comes with Electric Power Steering, which is new to the snowmobile industry, but recently changed how we ride on ATV’s. The Electric Power Steering makes a significant difference and reduced bump steer, pushing and darting by the skis and overall makes the ride much more enjoyable to drive. The Venture is powered by a 3 cylinder 1150cc fuel injected four stroke that has proven reliability. The Venture is loaded with additional ergonomic features and gadgets that touring riders will love.